Most people, at some point in their life, know what it feels like to not be invited to the party. Some of the best stories come from those people who went anyway. The Fringe Festival is one of those stories, about people who showed up when they weren't invited, the things they did and how the thing they started caught on and spread halfway around the world, all the way to Salt Lake City. It all began in Scotland, in 1947, when eight theater companies showed up for an annual performing arts gathering called Edinburgh International Festival, even though they weren't officially invited. They set up their performances in small, unofficial venues around the city and, taking advantage of the assembled crowds, put on their own shows. They ended up attracting quite a bit of attention from the main festival audience, and thus the Fringe Festival—a platform for original works of performance art—was born. Sixty years later, Fringe Festivals are events all to themselves—no more stealing audiences. And they're found all over North America and Europe, and, as of last year, Salt Lake City's Sugar House neighborhood. Dannielle Moriondo, a recent graduate of Westminster College and the director of communications for Great Salt Lake Fringe, was one of the founding members, and is currently putting the finishing touches on this year's even larger event, which spans two weekends, July 29-August 7. "None of us were prepared for how hard it would be to organize something this big," Moriondo says. She, along with a small group of founding volunteers, spent months creating a nonprofit entity for the festival, recruiting performers, finding venues, lining up stages and lighting, advertising and selling tickets. And somehow, after all that work, Moriondo and the Fringe crew decided to do it again. Why such dedication? "I love stories and believe in the power of storytelling," she says. "I truly believe that it benefits people to be exposed to [these arts]." Members of the Fringe Festival Association organize their fests under four guiding principles: 1. Performances are selected on a first-come, first-served basis or lottery, and are not "selected" or "screened" by a jury. 2. All sales go directly to the artists. 3. Artistic expression is not censored (but in Salt Lake City, the performances are given a rating so audiences know ahead of time if the content is family-friendly or risqué). 4. Performances are easily accessible to both artists and audience (which means tickets are reasonably priced). While each fringe festival adheres to these precepts, each festival also reflects the flavor and personality of its own distinct community. Productions in this year's Great Salt Lake Fringe, while full of the classical forms of theater, dance and spoken word, will also include more obscure performance arts—puppetry, aerial dance, circus acts and magic tricks—and acts that reflect our city's rich but often hidden ethnic diversity. The local troupe ChitraKaavya Dance returns to the 2016 Fringe with some original interpretations of Bharatanatyam (pictured left), a many-centuries-old South Indian dance form that company founder Srilatha Singh likens to Western ballet. "It's extremely technical work that takes lots of physical strength and years of training to learn," she says. "We are telling a story with our face, our eyes, our neck and fingers." Another returning artist, Julie Leir-VanSickle, comes from Pocatello, Idaho, a sign that the Salt Lake Fringe is creating opportunities not just for local artists, but also those throughout the region. Though she says dance is her "home," she prefers to call her art physical theater, a mesh of dance, text and acting. This year, Leir-VanSickle premieres Shutting Skin, inspired by her children's boa constrictor. "I'm 42 years old, my kids are teens and leaving the nest soon, I have dear friends moving across the country," Leir-VanSickle says. "It's all got me thinking about that process of change and having to leave things behind." 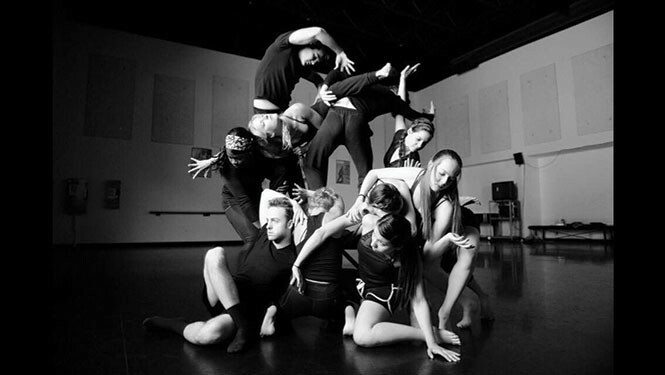 For its size, Salt Lake City has a performing arts scene that's healthy and growing. Undoubtedly, there remain artists out there still waiting for their chance to share their ideas, and audiences waiting to find them. That's where Great Salt Lake Fringe comes in. Across the city and surrounding communities—and even states—this is the place where performers find and build their audience. This is where new art is made, even if only for a few days. It's the kind of opportunity that excites even seasoned artist like Repertory Dance Theatre company dancer Daniel Higgins, who, for this year's festival, is stepping into the shoes of choreographer and director for the first time. "It's a fresh feeling," Higgins says. "I'm not an experienced choreographer, and this opportunity is new and exciting."